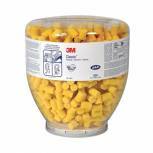 3M Ear Classic Earplugs Uncorded (Pack of 250) PP-01-002 GT600000522 Pack of 1 3M E-A-R Classic Ear Plugs. 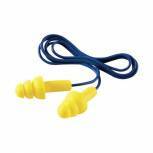 made from a soft energy absorbing polymer foam which provides excellent hearing protection and all day comfort. 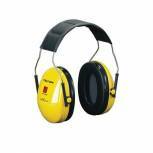 Ideal for use where noise is a problem, either in work or leisure activities. 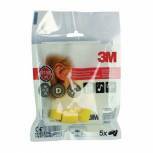 3M Banded Earplugs 1310 (Pack of 10) GT500004848 Pack of 1 3M Banded Ear Plugs 1310. Stylish banded hearing protection with innovative flexible band and soft round foam ear plugs for optimum fit and superior comfort. 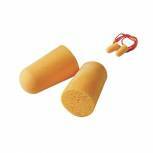 3M Disposable Earplugs Uncorded Orange (Pack of 200) 1100 Pack of 1 3M Disposable Earplugs Uncorded Orange 1100. Soft polyurethane foam. Smooth dirt-resistant surface. Tapered design fits most ear canals. Hypo-allergenic. Conform to EN352-2:2002. High visibility orange. 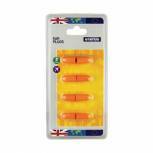 3M Disposable Earplugs Corded Orange (Pack of 100) 1110 Pack of 1 3M Disposable Earplugs Corded Orange 1110. Soft polyurethane foam. Smooth dirt-resistant surface. Tapered design fits most ear canals. Polyester cord prevents loss. Hypo-allergenic. Conform to EN352-2:2002. High visibility orange. 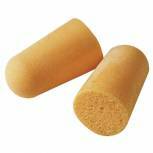 Proforce PU Foam Earplugs (Pack of 200) 801590 Pack of 1 Proforce earplugs made from soft hypo-allergenic PU foam. Tapered design ensures improved ear canal fit. Conforms to EN352-2. 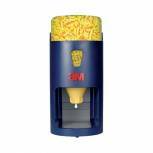 3M E-A-R Classic Refill Bottle (Pack of 500) PD-01-001 Pack of 1 3M E-A-R Classic Refill Bottle PD-01-001. 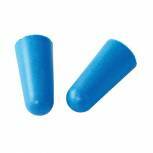 For use with 3M E-A-R One Touch Ear Plug Dispenser. Made from soft foam which adjusts to the shape of the ear canal. Conforms to EN352-2. 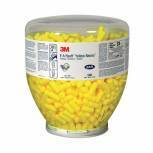 3M E-A-R Soft Yellow Neons Refill Bottle (Pack of 500) PD-01-002 Pack of 1 3M E-A-R Soft Yellow Neons Refill Bottle PD-01-002. 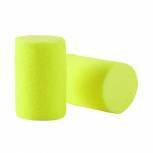 For use with 3M E-A-R One Touch Ear Plug Dispenser. High visibility. Made from soft foam which adjusts to the shape of the ear canal. Conforms to EN352-2. 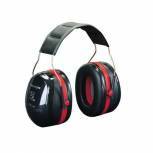 3M Optime III Headband Ear Defenders 4540A-411-SV XH001650833 Pack of 1 3M Optime lll Headband Ear Defenders. Suitable for moderate to high noise levels. Lightweight and generous inside depth for comfort. Soft and wide sealing rings filled with a combination of foam and liquid, provide optimum sealing and low pressure. 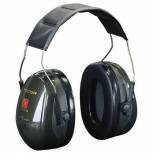 3M Optime I Headband Ear Defenders H510A-401-GU XH001650411 Pack of 1 3M Peltor Optime H510A Ear Muffs. 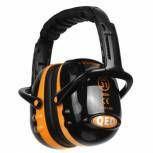 Lightweight and comfortable ear muffs offering versatile protection. Combines a low profile with generous inner depth allowing them to be combined with other equipment. 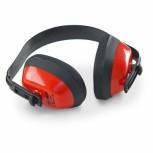 For use in noisy and dusty environments.